We had a Sea Lion eat one Salmon today at our expense. 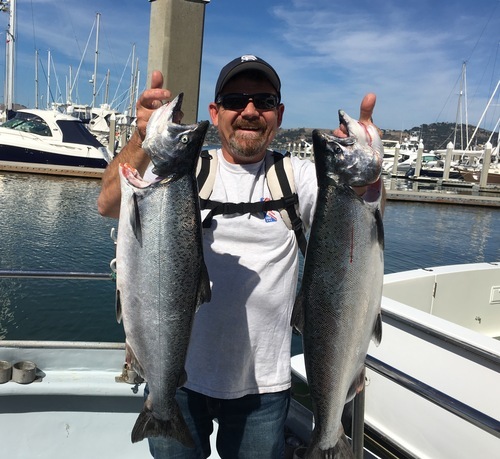 Captain Jared Davis called in this evening with an audio update from the Salty Lady out of Sausalito, CA. 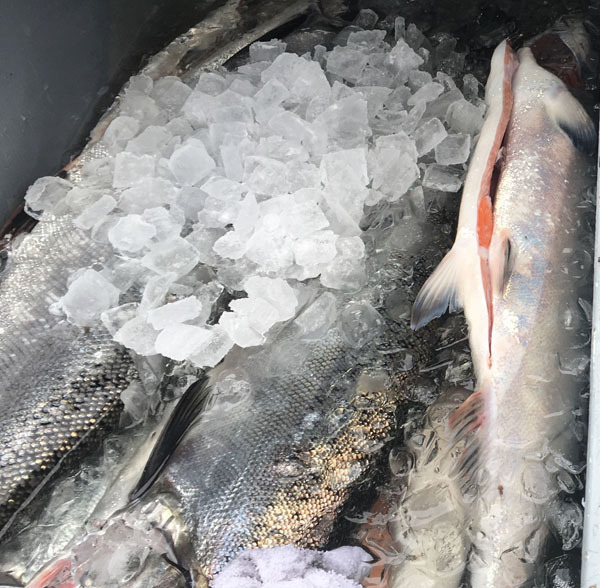 We fished hard today and caught 5 Salmon (up to 10 pounds) for 19 anglers. We fished at Duxbury Reef and the main shipping channel. We have plenty of room this week except for Wednesday (chartered).